Our friends at Fashion Beans say fur is in, and to that we say, How much? But hey, it doesn’t have to be real, as it is the texture that matters. In fact, we’ve got something that even the conservative guy will like, and this is because it is about as conservative as a young designer like Diesel gets. 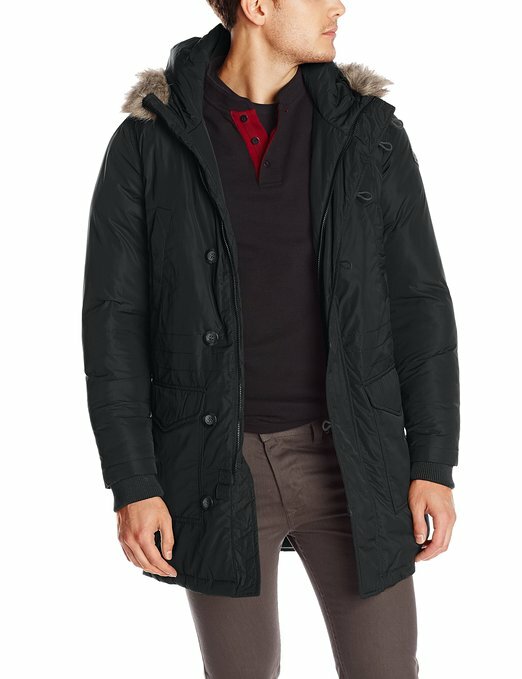 The W-Kirton is a classy and sporty Fall/Winter coat with just the right amount of fur to give it an edge, without going completely over the cliff. It features a Teflon treatment for water and stain resistance, hooded neck, four front pockets, and happens to be as warm as it looks.